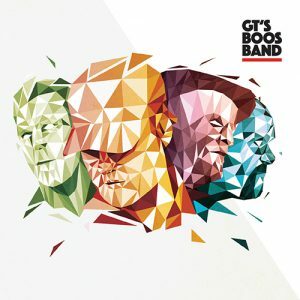 View basket “GT’s Boos Band” has been added to your basket. The response to Jock’s Juke Joint these last eight months has been overwhelming. Reviews have been universal in their praise, with broadcasts on 70 radio shows in over a dozen countries. Five of the featured artists received songwriter nominations in the British Blues Awards while Jock’s Juke Joint branded events have developed as far south as the Maryport Blues Festival. 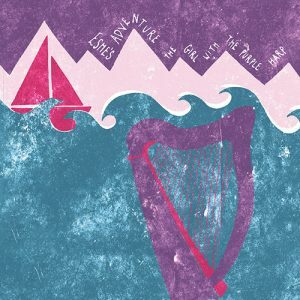 The Independent Blues Broadcasters Association (IBBA) made this their first ever album of the month (for April 2013). 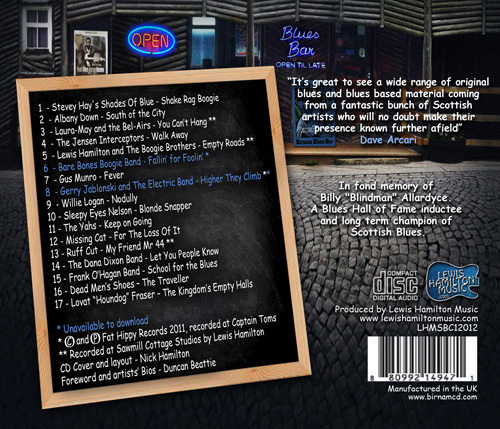 As before this album tells of those who’ve thrived within the Scottish blues scene, those who’ve recently entered it; those who’ve established themselves since arrival in Scotland and those who’ve left to further their names elsewhere. Wherever their journey, as the auld expression goes, they’ll always remain Jock Tamson’s bairns. And so this concludes the Jock’s Juke Joint trilogy. 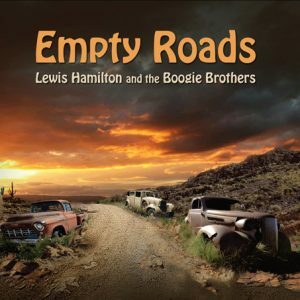 We believe it provides a real indication of the blues talent and song writing emerging from Scotland. While we celebrate the present, the passings of Laurie Hamilton and George Ross Watt are raw in the memory. Like them, we hope some of the unsung talent of the series can be similarly influential. 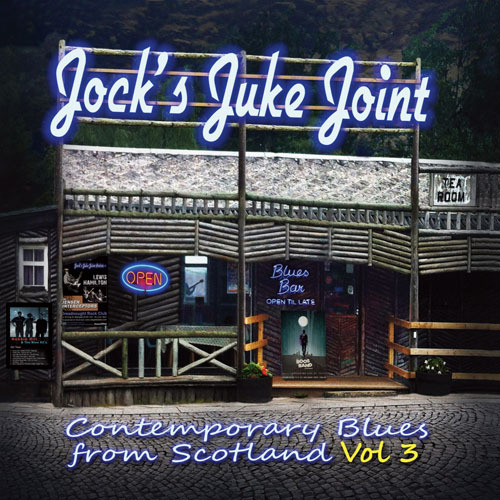 "Jock’s Juke Joint Vol3 “Three volumes in and the Jock’s Juke Joint series once again proves that the blues is everywhere. You just have to look for it. For a compilation, the standards and styles are remarkably consistent with the practically every band pulling off an entirely believable facsimile of the real thing. In fact, Calum Ingram is the only artist to dare to reach out into left field with the curiously compelling, cello driven “Game”. Other more conventional, yet still worthy, efforts come from the delicately melancholic Linda Jaxson (“Light In Your Eyes”), the rough and ready The Stumble (“Lie To Me”), retro blues rock practitioners The Afghan Hounds (“Electric Karma Blues”) and the spirited Harmonica Lewinsky (“Through with Me”). 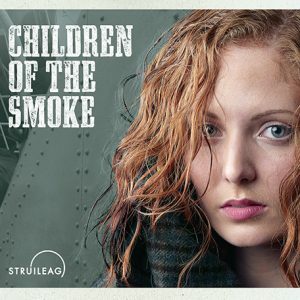 This is a compilation that will meet many people’s expectations of what a blues band should sound like and it is to the credit of all concerned that, if it were not for the title, few would guess that this music came from"